It’s an exciting week for lotto! Australians are getting ready to enter Melbourne Cup Day’s $25 Million Oz Lotto plus one of the biggest Powerball draws of the year! After the famous Spring Carnival race, when the office sweeps have been won, the chicken salad has been eaten and the projection screen pulled down, it may be time to return to your desk – but it doesn’t mean the fun is over! You can log into ozlotteries.com and enter the next race – the Oz Lotto race! The best part – this time you are the jockey and the prize could be yours. Just pick the winning ticket and you can win Draw 1133’s huge $25 Million prize. Get your Oz Lotto ticket here. 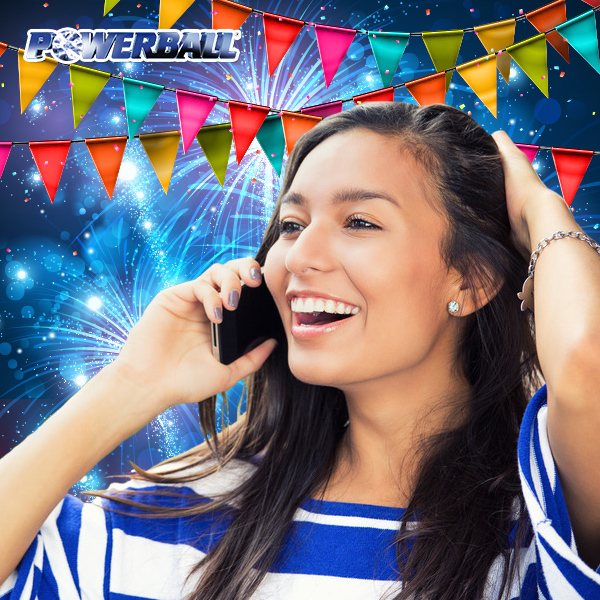 The fun doesn’t stop there – on Thursday 5th November 2015, Powerball Draw 1016 reaches a jumbo $50 Million. This kind of prize only comes up a few times a year – so don’t forget to buy your ticket! The draw closes 8:00pm AEDT 5/11/2015. The win can change your life, as these past $50 Million winners confirmed. The latest Australian $50 Million Powerball winner was a woman from South Perth. The winner said she was ‘seriously shaking’ when she realised she had won more money than she could have ever imagined. She showed a determination to keep her life the same. ‘We’re just a hard battling family and I don’t want this win to change us.’ When asked what she planned to do with the money, the winner humbly replied that she planned to renovate the house and pay off their debt. She also said that she would like to share her good fortune with those in need, telling lottery officials that she would love to donate some of the money to charity. In May 2015 a Canberra winner won the entire Powerball Division 1 $50 Million prize. The Gungahlin woman is now in the market to buy her first home! No doubt she won’t have any trouble finding a home she loves with such a large budget! The winner said after moving to Australia more than 10 years ago she is thankful she is now able to give back and plans to donate money to charity. And if she isn’t a fan of Canberra’s long winters, so could always look at purchasing a ‘beach home’ on Queensland’s Sunshine Coast or Port Douglas. With her winnings, she could even choose to purchase a boutique hotel big enough to hold her friends and family!